These are the show notes to an audio episode. 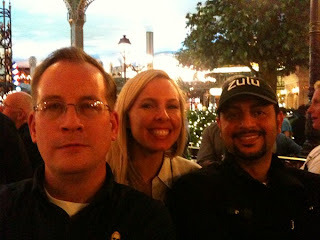 You can listen to the show audio by clicking here: http://traffic.libsyn.com/airspeed/AirspeedMovieAtePodcast.mp3. Better yet, subscribe to Airspeed through iTunes or your other favorite podcatcher. It’s all free! 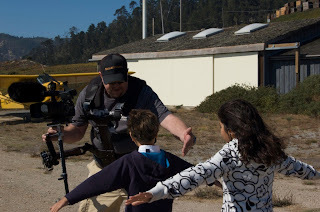 By way of getting some content up into the feed, I though it might be a good time to sit down with Will Hawkins, director of A Pilot’s Story and talk about both his film and my film, Acro Camp. We’re each coming down to the final stages of editing our respective films and this conversation turned into a good discussion of what independent filmmaking is and can be. Especially when it’s independent filmmaking about aviation! 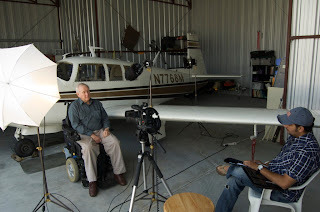 Check out A Pilot’s Story at www.apilotsstory.com. Check out Will and Rico’s production company at www.wilcofilms.com. And, of course, follow progress on the Acro Camp films at www.acrocamp.com! Technical note: The mic on my headset didn’t connect properly, so my voice is being picked up by the built-in mic on my Mac. Not the best audio quality, but a good conversation nevertheless. These are the show notes to an audio episode. If you want to listen online, please use the direct link below. 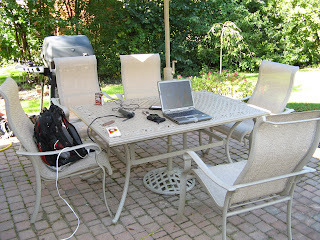 http://media.libsyn.com/media/airspeed/AirspeedICAS02.mp3. A conversation with Rico Sharqawi recounding the adventures of the first day of the ICAS convention in Las Vegas. The panel presentation on new media and social media for airshows is available for download at http://media.libsyn.com/media/airspeed/AirspeedICASNewMedia.mp3. The audio quality wasn’t great, so I didn’t make an episode out of it, but wanted to make it available to you here on the website. Now it’s down to the convention floor to go meet the magic again! This is a regular blog post. If you’re looking for show notes or links to show audio, please check out the other posts. By all accounts I can find, Stout kept his promise. 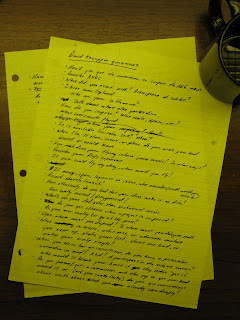 Stout’s project and passion? On a beautiful August day this year, I took the controls of one of only 199 units that this particular dream produced. But what a unit! It was a 1929 Ford TriMotor, a silver, corrugated, and cantankerous, but awe-inspiring, harbinger of the golden age of aviation. Because of Stout’s dream and the loving labors of countless people from then to now, I added 0.3 hours dual received in the Tin Goose to my logbook. 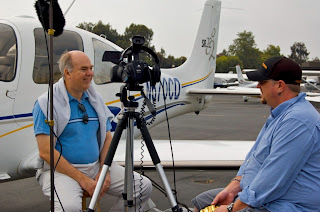 Several months ago, I found out that friends, independent filmmakers, and fellow pilots Will Hawkins and Rico Sharqawi had decided to make a documentary film about aviation. It’s called A Pilot’s Story. 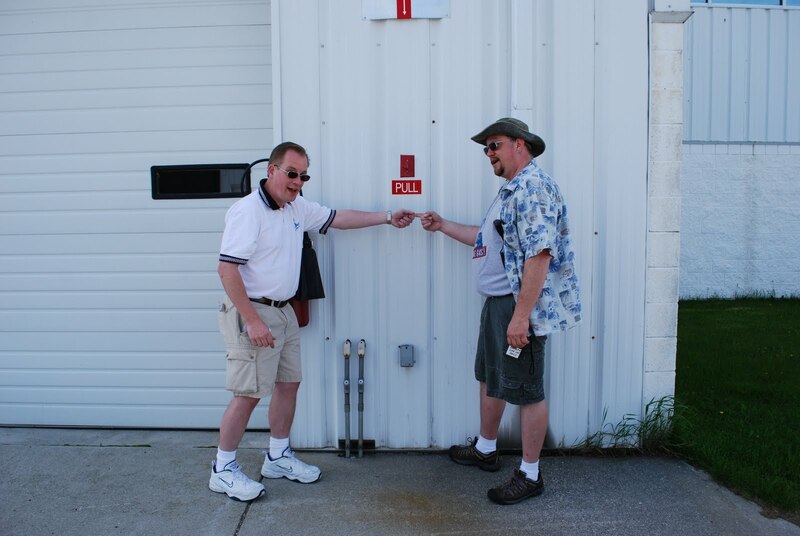 Will noticed that, no matter the circumstances of the individual pilot or aviation enthusiast, some magical core part of each of their stories was always the same. As a labor of love, Will and Rico have set out to capture the essence of what it is to become, and be, a pilot. Although Will and Rico’s appeal for donations to help pay for the project was a lot less dramatic than Stout’s, the core idea was the same. This is a labor of love and we might get to watch a really spectacular movie about people and aircraft (and so much more) if the project gets finished. So, as is my practice, in lieu of fruit baskets, nut trays, and other indicia of the season, I have elected to contribute to a worthy cause. Earlier this week, I made a contribution in your collective honor to the making of A Pilot’s Story. Though I am certainly no captain of industry, I share at least one thing with Stout’s investors. I don’t expect to get my money back. I don’t want it back. Neither does anyone else I know who has donated. We have traded our funds, time, and talents to the universe, confident in the knowledge that the universe (and, in non-trivial part, Will and Rico) will deliver a film that will be an artifact of our hopes and aspirations that will tell a story that defies conventional storytelling. I hope that you get to see it when it comes out in late 2009 or early 2010. If you’re interested, you can see the newly-mixed trailer for the film at www.apilotsstory.com. I hope that you’ll regard this gesture as appropriate to a season that is, after all, about a very similar kind of wonderment and joy. Thanks for the opportunity to work, play, fly, and/or laugh with you this year. It’s been a privilege and I hope that you’ll receive this note with the appreciation that I continue to have for each of you and for our professional and personal relationships. These are the show notes to an audio episode. 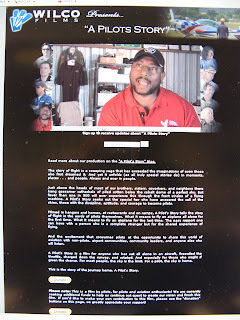 You can listen online right here by clicking: http://media.libsyn.com/media/airspeed/AirspeedAPilotsStory1.mp3. Here’s an early look at the production of the new independent film, A Pilot’s Story. Many of you know Will Hawkins from The Pilot’s Flight PodLog, but not many of you know him as the extraordinary filmmaker that he is. He and Rico are working on the film with release scheduled for 2009 or 2010. And you might be able to have a say about that release date. This is a labor of love. The aviation documentary is a largely untested genre, the success of One Six Right notwithstanding. And it’s not like there’s a lot of money around the economy for much of anything anyway. But this is a film that needs to be made. Check out the interview with Will and Rico on this episode and then head to the film’s website and watch the trailer. Then – and this is the important thing – scroll down and click the Donate button. Give what you can so that Will and Rico can complete this film. I’m contributing music and other energies. Contribute what you can. Contributions that jingle help. But contributions that fold get the project made! The story of flight is a sweeping saga that has exceeded the imaginations of even those who first dreamed it. And yet it unfolds (as all truly special stories do) in moments, places . . . and people. Always and ever in people. Just above the heads of most of our brothers, sisters, coworkers, and neighbors there hang gossamer cathedrals of piled cotton below the cobalt dome of a perfect sky. But fewer than one in 500 will ever experience this through the front window of a flying machine. A Pilot’s Story seeks out the special few who have answered the call of the skies, those with the discipline, aptitude, and courage to become pilots. Filmed in hangars and homes, at restaurants and on ramps, A Pilot’s Story tells the story of flight in the words of pilots themselves. What it means to fly an airplane all alone for the first time. What it means to fly an airplane for the last time. The easy rapport one can have with a person who is a complete stranger but for the shared experience of flying. And the excitement that consumes pilots at the opportunity to share this world of aviation with non-pilots, airport communities, community leaders, and anyone else who will listen. A Pilot’s Story is a film for anyone who has sat all alone in an aircraft, firewalled the throttle, charged down the runway, and rotated. And especially for those who might if given the chance. For most people, the sky is the limit. For a pilot, the sky is home. This is the story of the journey home. A Pilot’s Story.